ToHo returns with another entry in their most popular franchise ever, ShinÂ Godzilla (2016). The film dominated the box office in Japan earning a limited run in US theaters. The big green monster is heading back to the big screen, baby, yeah! The Grue-crew follow the big guy’s roar and are here to share their thoughts and reactions. Godzilla Resurgence is on the block. Back home, on the small screen, Marvel unleashes another 13 episodes of superhero fantasy in its string of shows heading to The Defenders. The show is Luke Cage. Mike Colter stars as Carl Lucas the man who has been transformed to a bullet proof super hero known as Luke Cage. Misty Knight, Cottonmouth, and Diamondback are not far behind. Marvel lives and breathes in the New York City streets with gritty realistic adventures. The Grue-crew share what they loved…and hated…about the show. 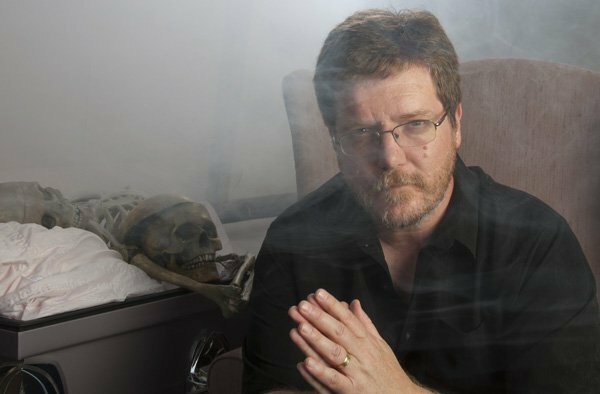 Doc steps in for an overworked Dave to guide theÂ Horror News of the Week with another loss to the horror industry, R.I.P. Ted Mikels (The Corpse Grinders, The Astro-Zombies). Doc and Gruesome Magazine contributor Chad HuntÂ are heading to the Knoxville Horror Film Festival is coming October 21-23, 2016 in Knoxville, TN. And The Black Saint is all set for the upcoming New York City Horror Film Festival extravaganza November 10-13, 2016. And don’t forget the Sick Chicks Flicks Horror Film Festival Saturday, November 5, 2016 in Cary, North Carolina. What a great fall season for horror flicks! It has been 12 years since the last ToHo Godzilla film, Godzilla: Final Wars (2004), and two years since the Gareth Edwards US Version. Shin Godzilla has arrived and is ready to tear up Tokyo one more time. 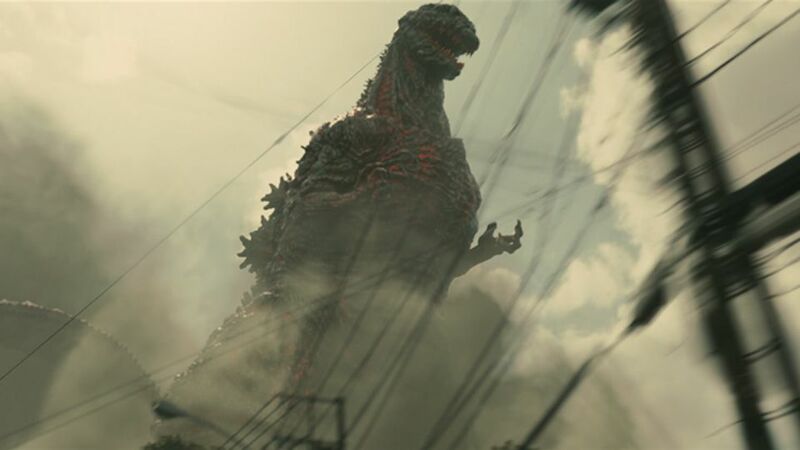 The film follows Japanese politicians as they struggle to deal with the destruction caused by the rampaging monster. They move from boardroom to boardroom as the decide on how to defeat Godzilla as he transforms from a sluggish creature to the monster Kaiju fan recognize. The Grue-crew are across the board in their reaction to the film. Oh, noes. 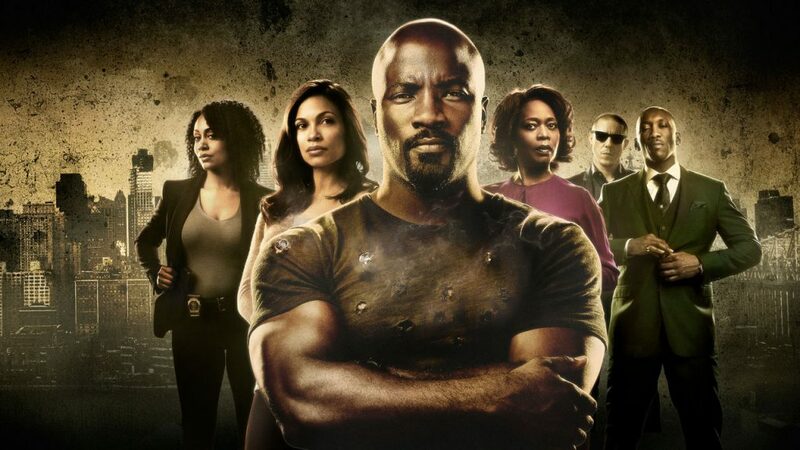 Marvel and Netflix return with another superhero TV series, Luke Cage. Mike Colter first appeared as Cage in Jessica Jones and returns to his own series diving into Harlem. Trying to create a new life for himself, Cage ends up confronting a series of gangsters, Cottonmouth, Diamondback, and Shades with only Misty Knight at his side. The cast is phenomenal but the Grue-crew struggle with the overall story line. Mahershala Ali delivers a fantastic villain in Cornell Stokes while Rosario Dawson returns as Claire Temple. Luke Cage is set to be followed by Iron Fist and the first round of Netflix heroes concludes with The Defenders.